This is a photograph of Edmund Burke Whitman who was born on October 18, 1812 in East Bridgewater, Massachusetts. 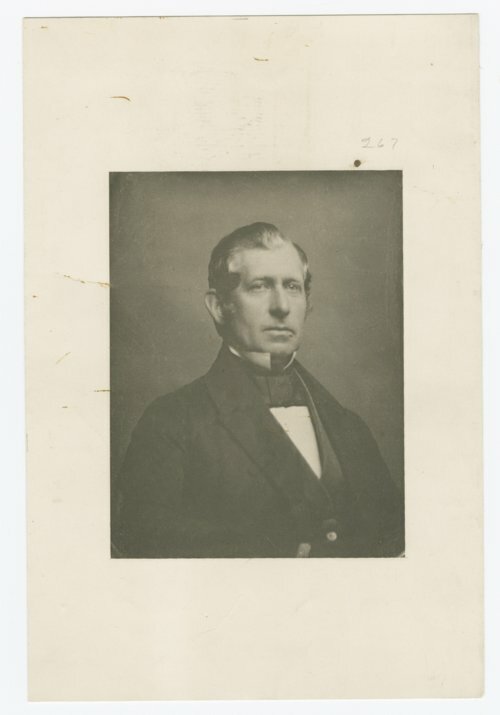 He attended Phillips Exeter Academy and graduated from Harvard University in 1838. He was involved in anti-slavery and temperance societies, and in 1855, he moved his family to Lawrence, Kansas to join the struggle against pro-slavery forces. After the Civil War, he was Superintendent of National Cemeteries and a member of the Kansas State Board of Agriculture's executive committee. Later, Whitman taught briefly in Louisville, Kentucky, and returned to Cambridge, where he lived until his death on September 2, 1883.